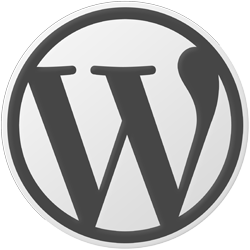 If you run WordPress multisite (like I do) then eventually you will run into the need to enable a theme on just one site, and not have it available for other sites for use. The default option when you install a new theme into multisite is ‘Network Disabled’ which means no one can use it. Normally you would then ‘Network Enable’ it so all sites can see the the theme. But what if it’s a heavily customised theme specific for a single site? Or it has a single site/use license? First – upload your theme to the network. If the theme is already uploaded, ensure it is not network enabled. Then simply select the ‘Themes’ tab from the site menu, and you will be given a list of all themes that are not currently network enabled. 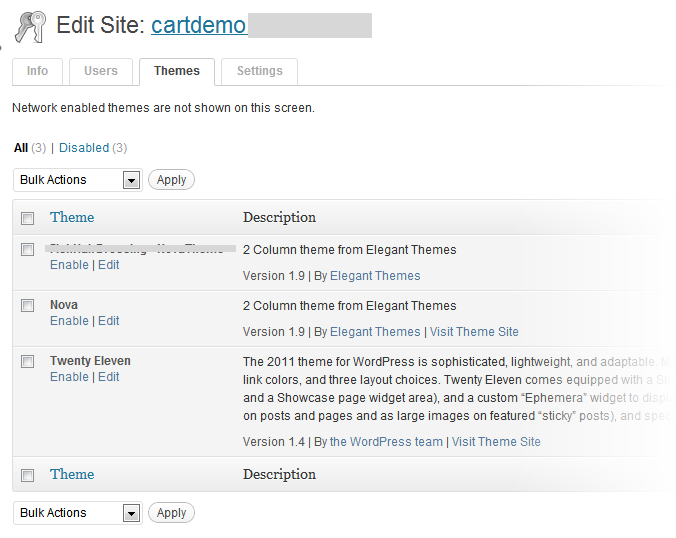 Simply select ‘Enable’, and the theme will be available to the site to use. Simply click ‘enable’ on the theme(s) you want available to the site. You will then need to go into the individual site’s Appearance dashboard and activate the theme as per usual. Simple, but not very obvious if you didn’t know it already!